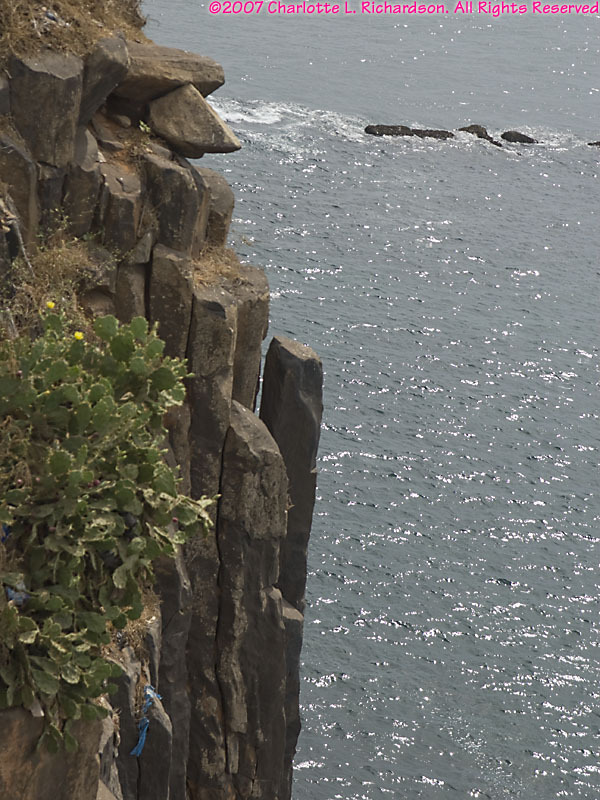 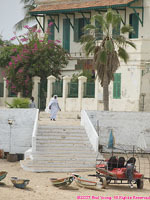 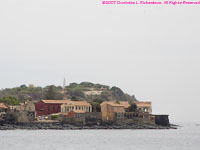 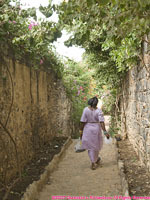 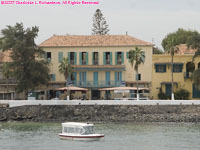 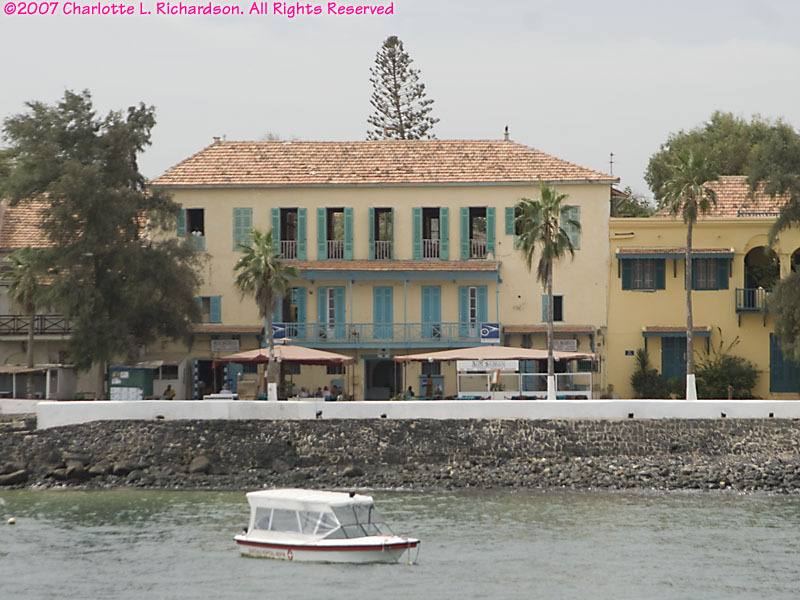 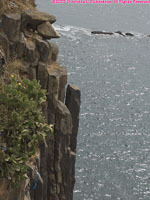 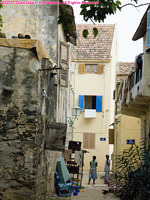 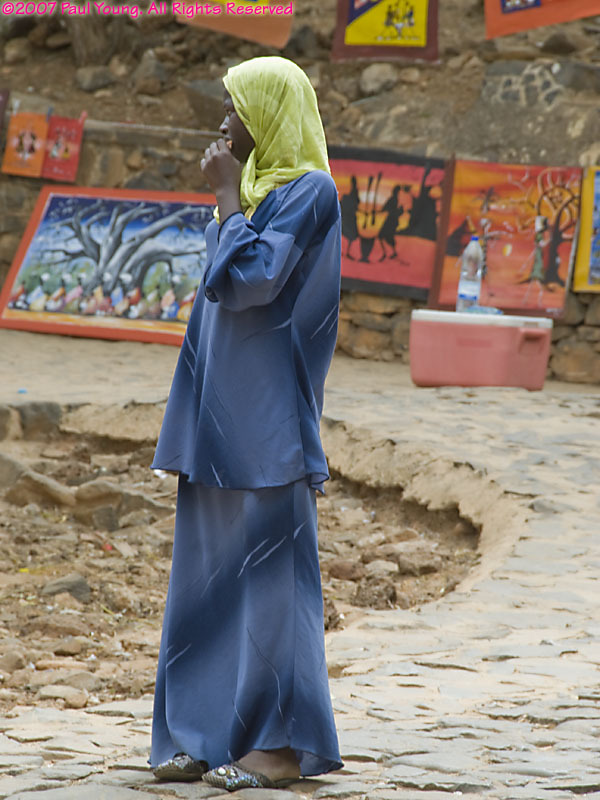 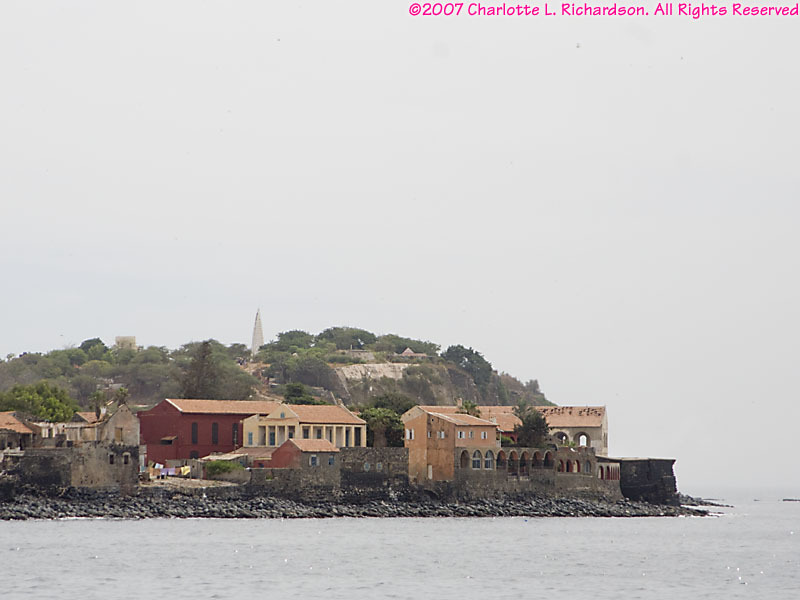 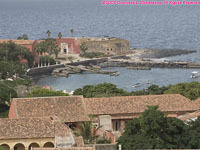 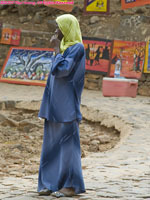 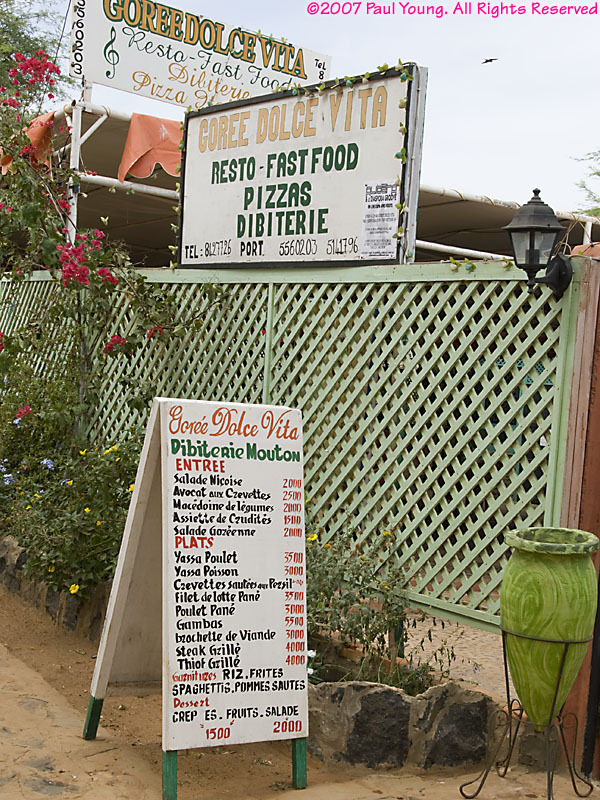 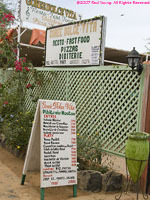 A twenty-minute ferry ride from the dock in Dakar, Gorée Island was first settled by Portuguese merchants in the 15th century. 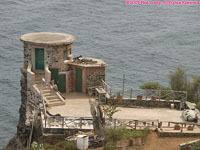 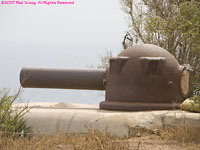 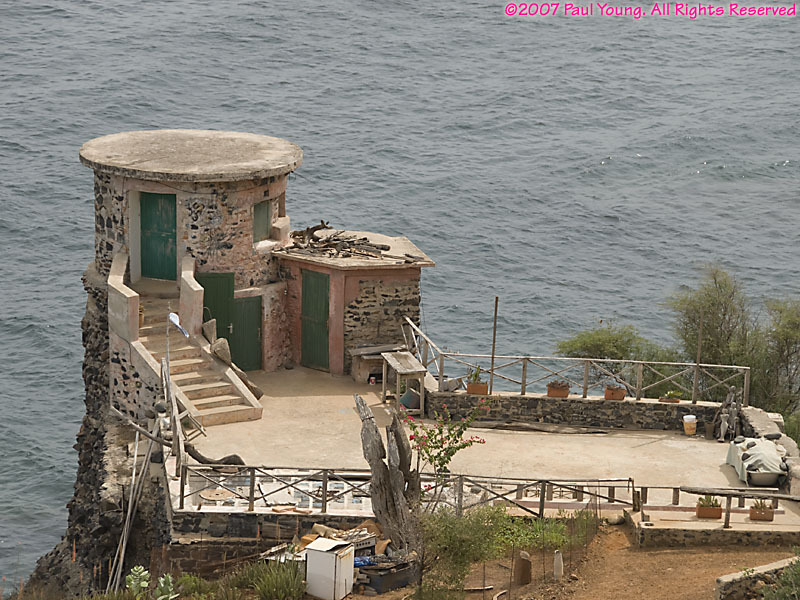 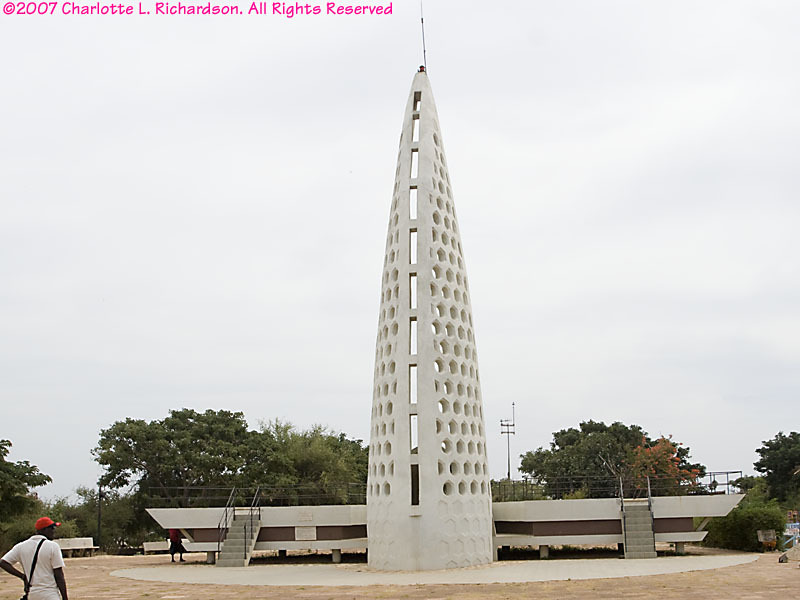 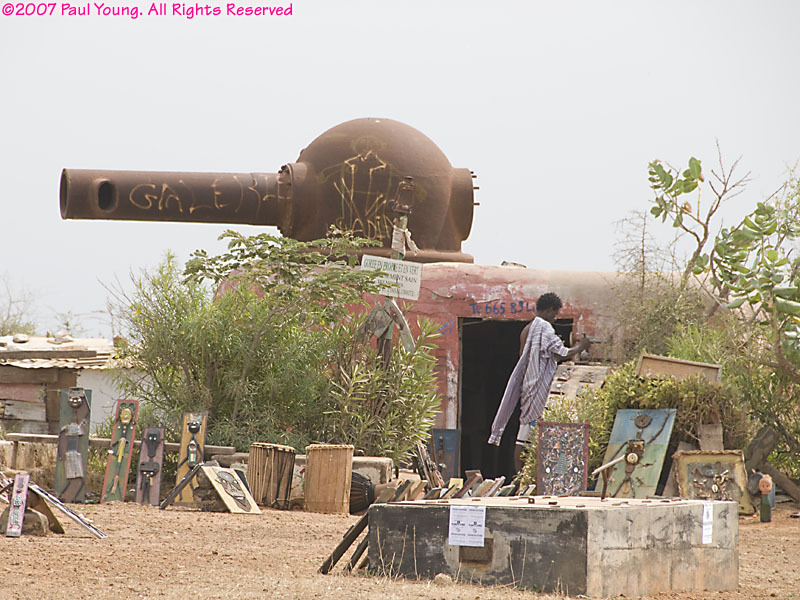 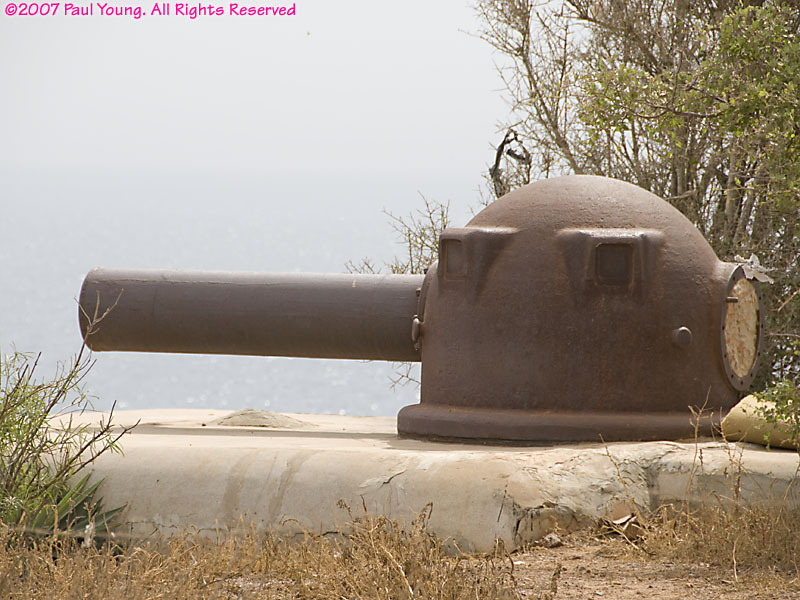 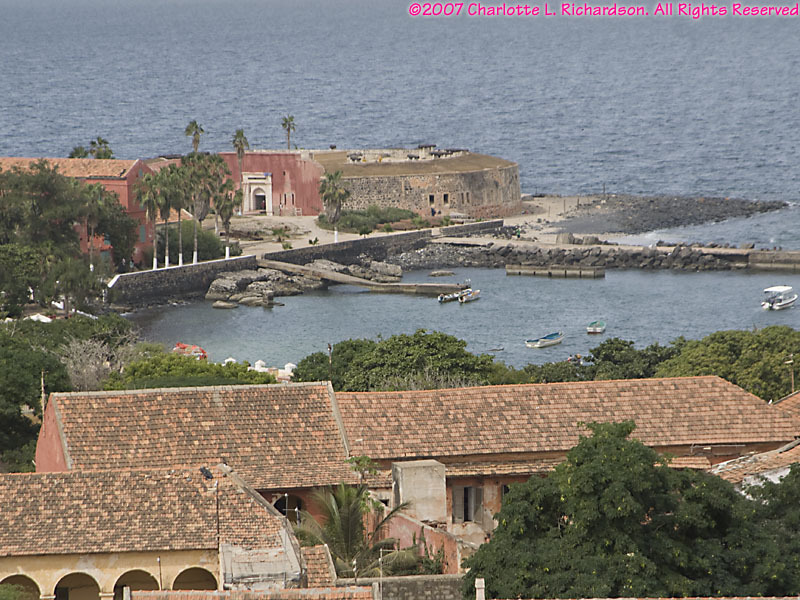 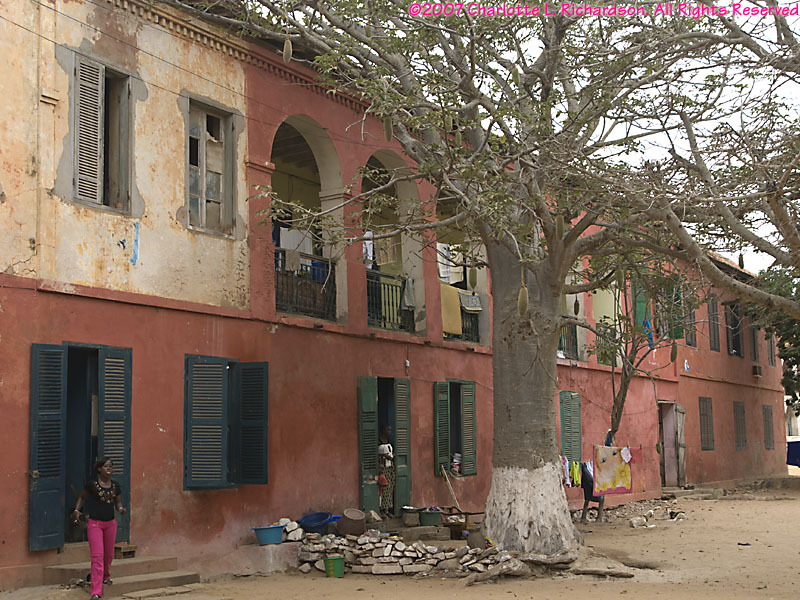 It was the center of the slave trade from this part of West Africa for three hundred years. 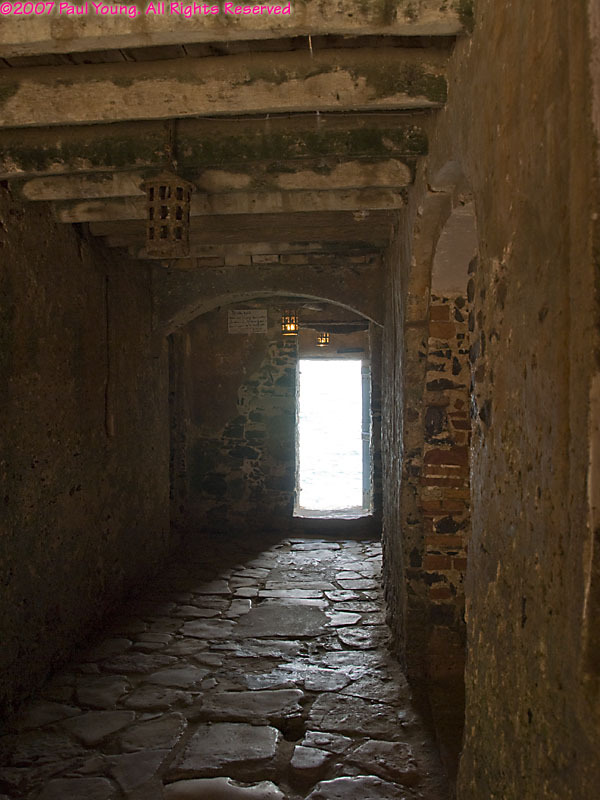 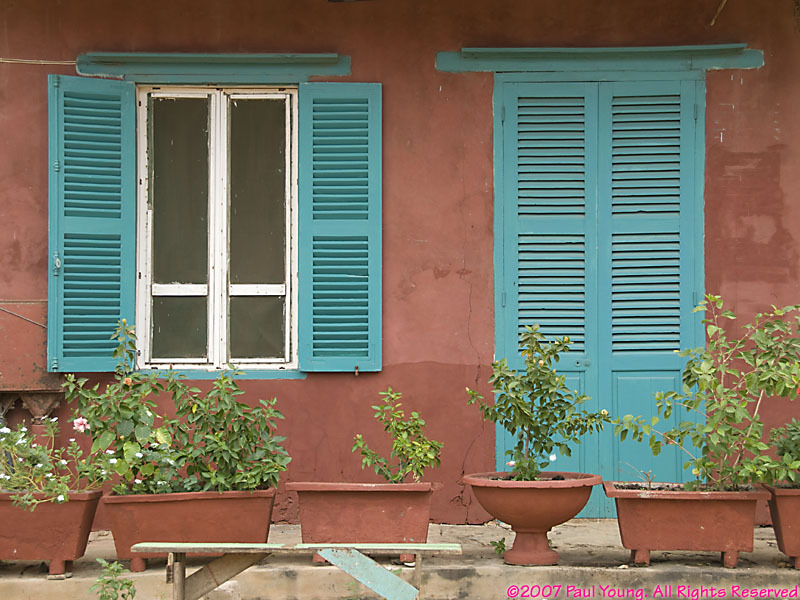 The symbolically famous "Door of No Return" in the 18th century Maison des Esclaves (Slave House) is a point of pilgrimage for African Americans. 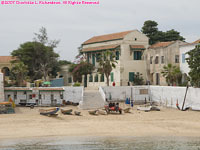 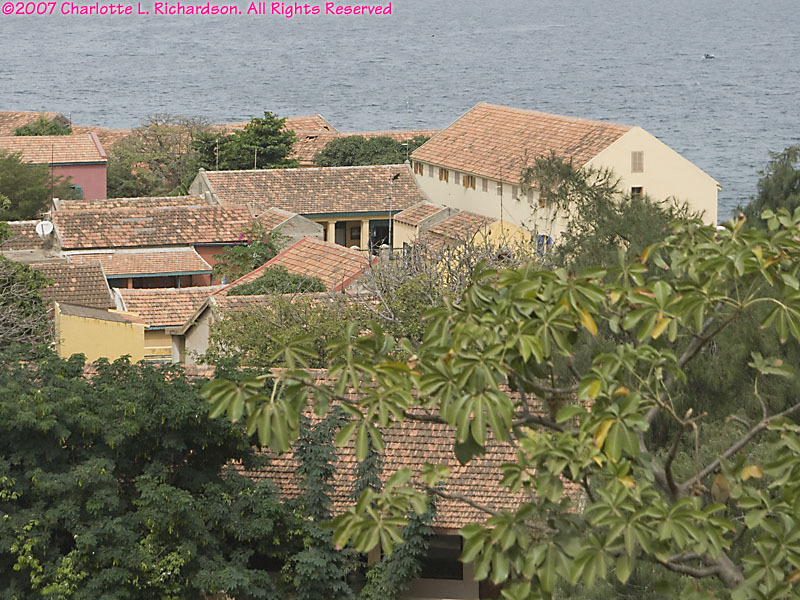 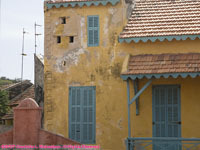 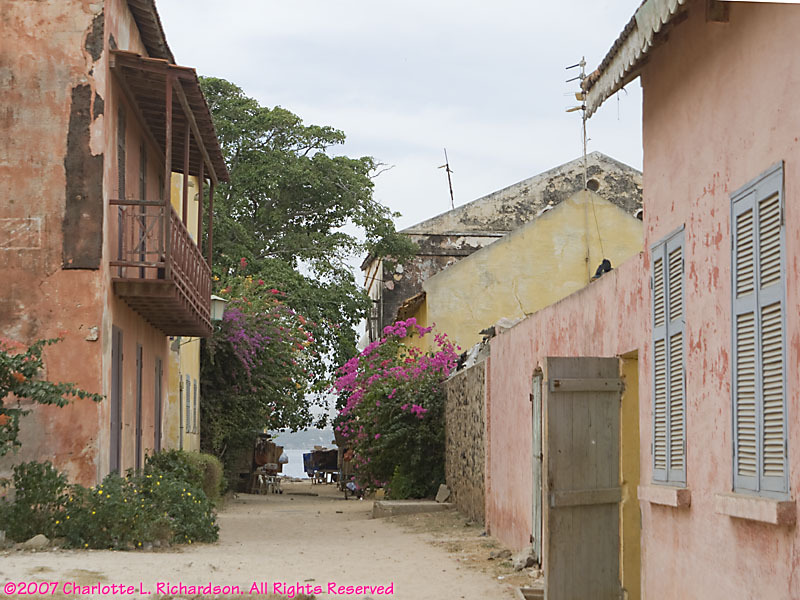 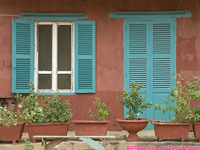 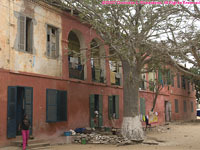 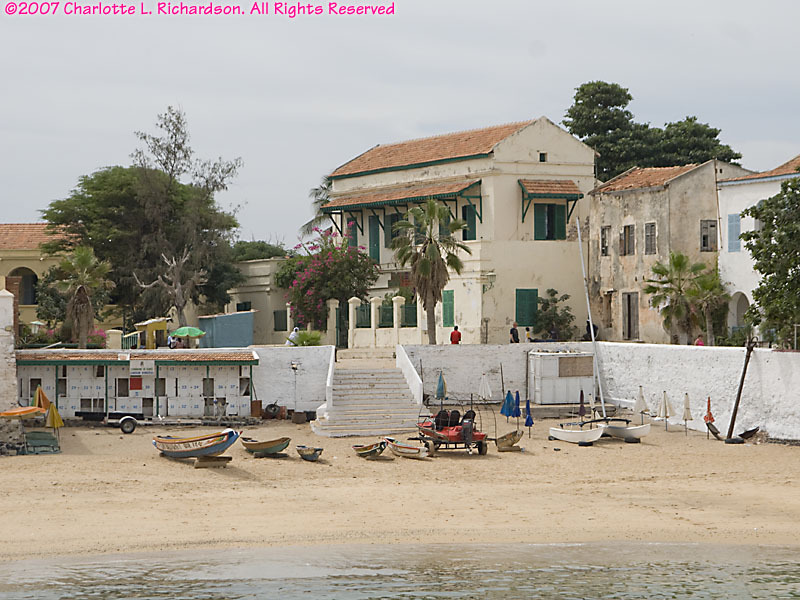 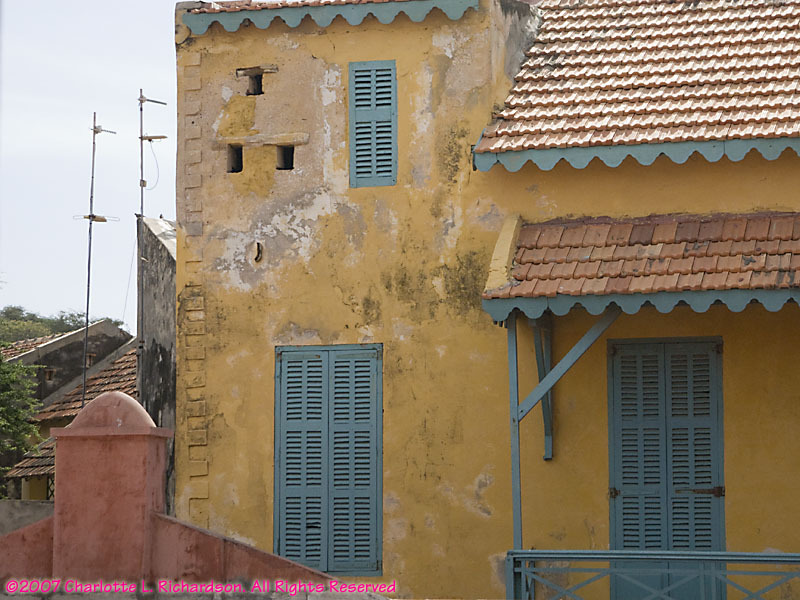 The peaceful island has colonial brick buildings from the Portuguese, Dutch, English, and French eras, and hosts an artists' colony. 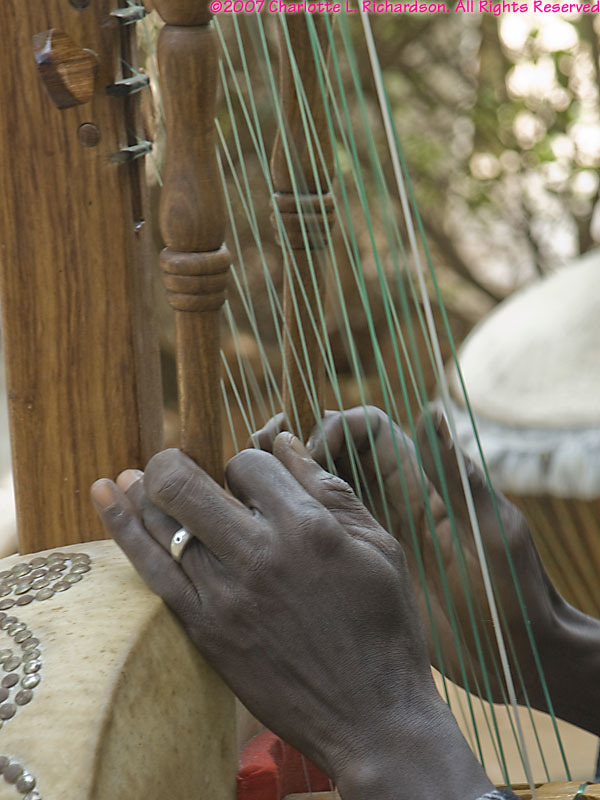 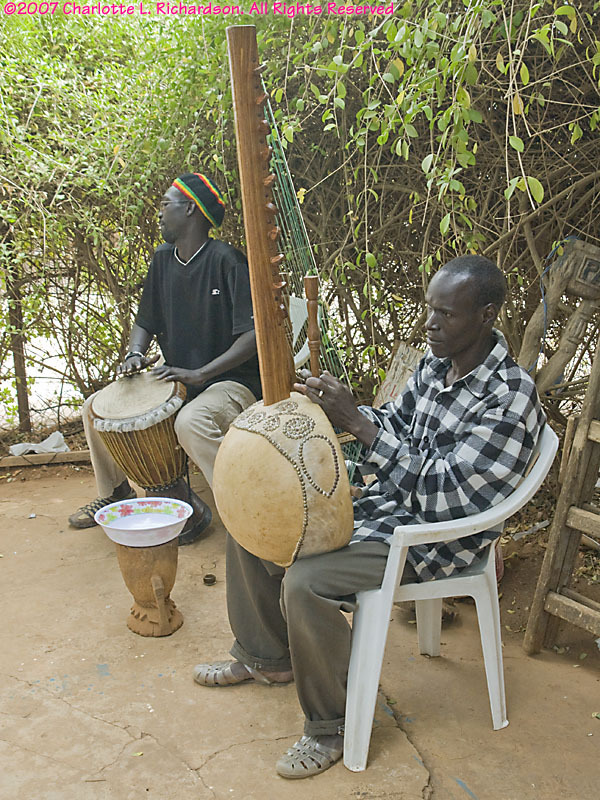 Traditional musicians, one playing a 21-string kora, a cross between a harp and a lute. 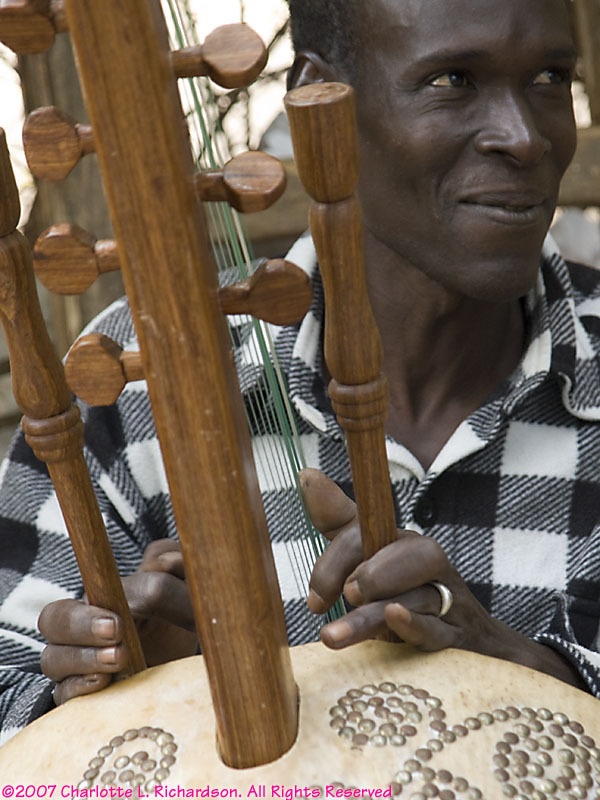 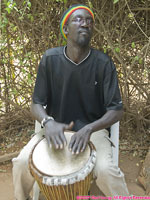 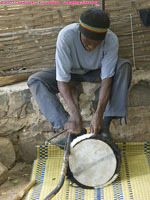 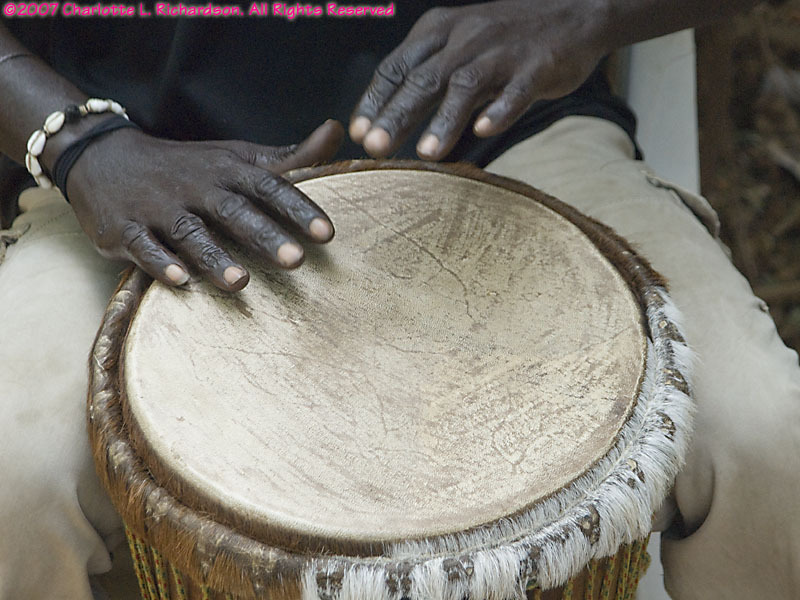 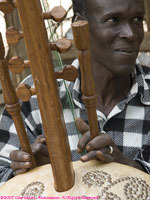 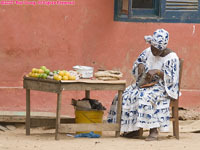 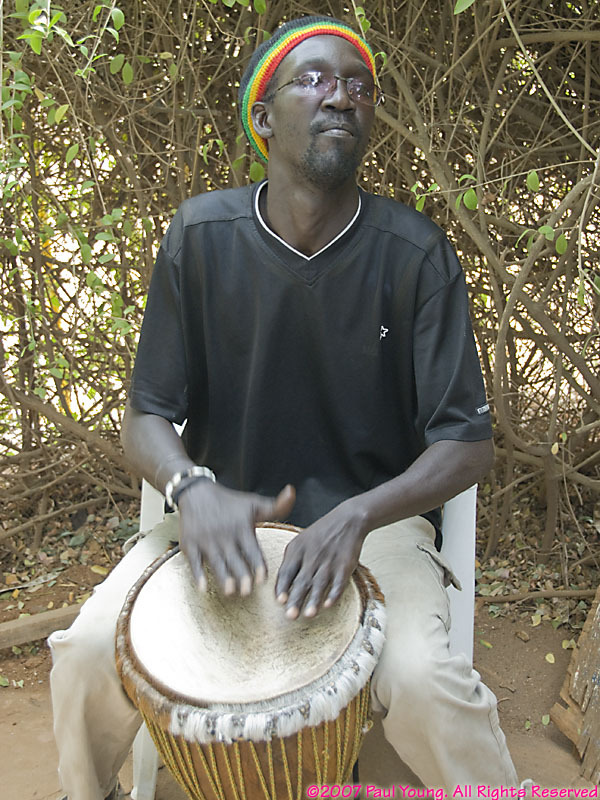 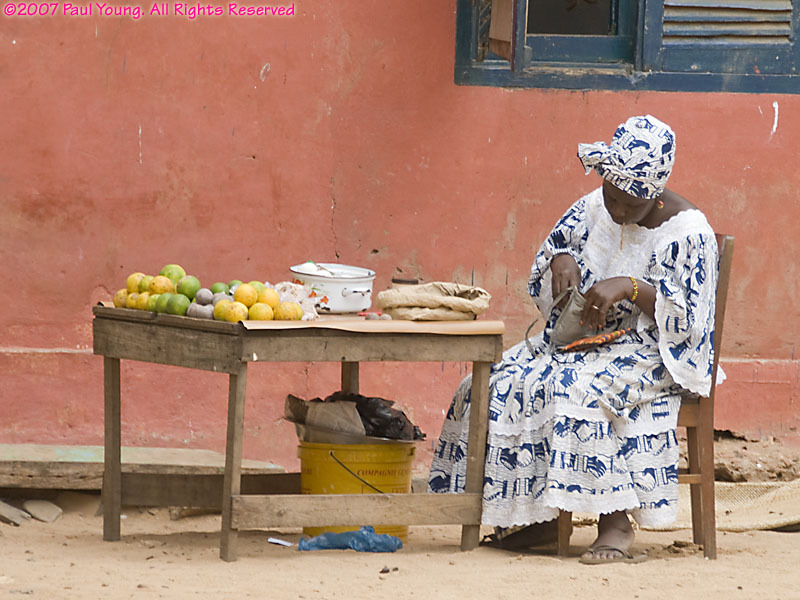 The belly of the Kora is a large gourd (calabash) and the head is cowhide.